ARC Under Panel NISSAN - Dezod Motorsports Inc - Home of the automotive performance enthusiast since 2002. Improve cooling and protect you engine bay with an ARC Aluminum Under Panel. 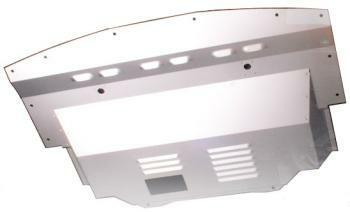 The ARC Aluminum Under Panel is specifically designed to channel air towards specific engine components while protecting them from road debris.